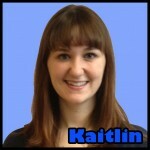 Kaitlin: Stressed and Need Help? Even though its meant to be a time for giving and loving, I know that for most people, this time of the year can be incredibly stressful. Between studying and doing final projects and spending money on gifts and even the change of seasons, we all need to find a way to unwind, and that often means simply talking to someone. The Behavioral Medicine wing of BU’s Student Health Services provides absolutely amazing support to students who may be going through a tough time, whatever it may be. While they also specialize in helping with body image, alcohol/drug, crisis, sexual health, and sexual/gender identify issues, their expertise in assisting students with academic issues, depression, sleep, and anxiety problems may be especially helpful this time of year. The information or treatment that Behavioral Medicine offers students who decide to stop in help them understand that they aren’t alone in facing these issues, and help them take control of whatever the problem may be. I urge you to seek help if you think you need some relief, and promise that you’ll find it helpful. If you want to make an appointment, you can call 617-353-3569, or check out the website for more information: http://www.bu.edu/shs/behavioral/. Stay calm, stay peaceful, and be you.